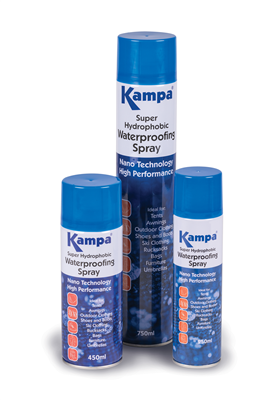 Kampa Super Hydrophobic Waterproofing Spray offers innovaitive top class protection bassed on revolutionary Nano Technology. Well the delivery time was fine and it simply does what it says on the tin. Good product use as instructed and it works. What can I say about this! has so many uses you will not want to put it down, works like magic.